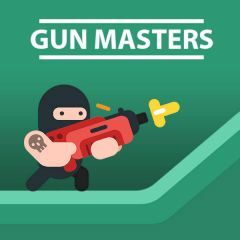 Gun Masters is a game with simple gameplay, but challenging tasks. You need to shoot enemies one by one without making false shots. Your gun is rotating, so you must click to shoot in the right time. Perform headshots and collect coins to unlock new powerful guns and deal with bosses easily.